Agoraphobia is characterized by strong fear of not been able to escape from certain situations or places if one had a panic attack or other physical problems, such as diarrhea or nausea. Individuals with agoraphobia may avoid the feared situations, and often develop “safe places” or “fixed routes” to avoid suffering severe anxiety. The most common situations avoided are driving, shopping malls, crowded places such as arenas, stadiums, or theaters, traveling long distances, standing in lines, being alone, meetings, and social gatherings. In the most severe cases, individuals may become housebound refusing to leave their homes for long periods, sometimes even years. The best treatment is an integrative approach focusing on treating the original panic attack or disturbing experience, as well as the agoraphobia. 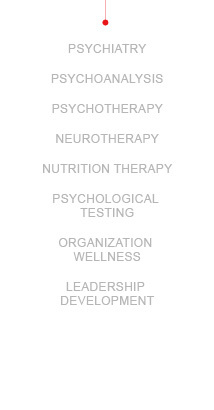 The treatment consists of psychotherapy with or without medications, relaxation techniques, neurofeedback, and nutritional counseling. Individuals with specific phobias recognize that their fear is unreasonableand have difficulty controlling it. While most people feel anxious or apprehensive about certain objects or situations, individuals with a specific phobia have their daily routines, employment, or social lives disrupted by their fears. At IBBMedour professionals develop an integrative treatment to assist in managing phobias through cognitive behavioral therapy (focusing on exposure), neurofeedback and nutritional counseling. Medications maybe indicated for specific cases and to treat co-morbid disorders. Social Anxiety Disorder (also known as Social Phobia) is an anxiety disorder that is characterized by an intense fear of social situations, such as: public speaking, standing in line, meeting new people, attending meetings, being observed or talking in front of others. They may also experience severe anxiety and feel threatened when they have to face performance situations and tend to be very concerned about negative evaluations by others, embarrassment, and humiliation. People with Social Anxiety Disorder are often sensitive to criticism and rejection, and they fear others may notice their anxiety, judge them, and think poorly of them. Individuals with Social Anxiety Disorder can experience severe anxiety and, in some cases, will have panic attacks in social situations. The integrative treatment approach to managing social anxiety is withcognitive behavioral therapy, medications, neurofeedback, nutritional counseling, relaxation training and yoga.